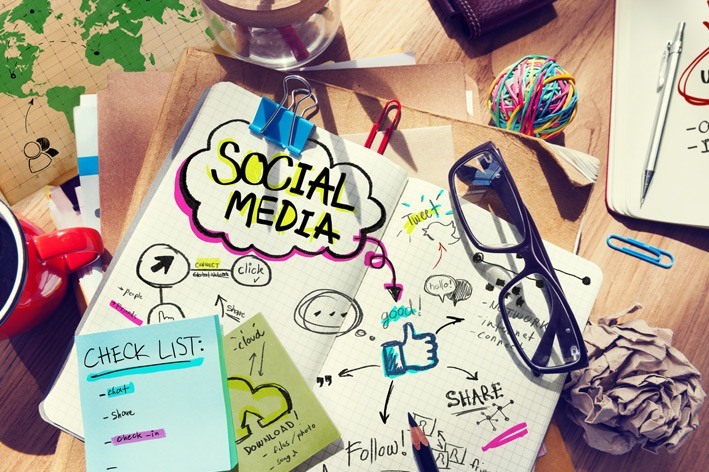 Social Media, an SEO Ranking Factor? Before we proceed, here is one revelation that will change the course of things we’ve set so far; Google does not consider social media being directly connected to SEO rankings. This was the simple bit. The complexities begin here. There are quite a few instances that suggest having evidence of social signals such as likes, and shares being directly related to your rankings. A website will have more social presence if it features the most on search results. According to Cognitive SEO’s graph, there is a high correlation between social signals and ranking positions. This is because Google is not the only search engine people go for. As per Statista, even though Google dominated 63% of the US search queries, Bing took a respectable 24%. Why does this matter? Because Bing considers social likes and shares as a direct ranking factor. So, you need to optimize your social presence for Bing. Social media, for Google, may not be a strong or even a direct ranking factor. But if it does amplify your rankings, Google is going to consider for sure. Also, because social media is designed for mass sharing, it directly affects SEO and builds more visibility for your content. If this happens, there is no better digital marketing strategy! When a lot of people share your content on social media, lots more are likely to be linked to it and it is these links that matter the most for SEOs. The very first thing you need to do is, optimize your profiles. If, like most people you maintain and use multiple social media sites try having a consistent image, this will help create a strong and stable brand image, one that is easier to identify with. Create an interesting and attractive bio but remember to keep it relevant. Also, do not forget to include the links to all your other pages, websites, newsletter, marketing campaign or your lead magnet. An active Social media handle means you keep generating interest which ensures regular followers and traffic to your site. This varies depending upon the platform. One like Twitter, will expect you to post multiple times in a day, but it would be excessive on LinkedIn. Check if your updates are shareable and easily accessible to your target audience. You can craft catchy headlines, post attractive images and share explicitly. Users enjoy engaging with such posts on social media. You can keep a track of the content keyword by looking at what has been delivered in the past. You can also generate a list of those contents that were shared overall, and you can sort out the platform to get an idea of what is a preferred social media site. Yes, they are. In fact, hashtags are essential keywords. They help in the categorization of content and help users in finding it. However, how hashtags are used immensely vary from platform to platform. Encourage visitors to share your content on social media. Creating high-quality, shareable content ensures you optimize content keywords, headlines, copy and call-to-action. Also, keep an eye on the images because these are proven factors to boost social media engagement. Videos help in boosting visibility. Obviously, the first thing that comes to mind when you talk about videos and visibility is YouTube. It is the second largest search engine in the world, after all. Videos also show up in the search results, so you must create promotional content for your brand and share it on social media that leads to links and soars up to the top three positions. Lastly, you must understand that social media and SEO aren’t a one-time thing. The most effective solution for SEO to remain on top is to be present on social media and continue doing so. You can earn links by mentioning and connecting your influencers in your content and in the relevant social media posts. Also, pay attention to local marketing by sharing geo-targeted content and looking for local influencers. Always make sure you are responsive to reviews, comments, and shares. When you respond, it will help social media algorithms recognize that the content is active, thus giving it potential reach. Indulging in conversations on your platforms will help you raise your profile and attract more eyeballs to your content. Always keep your content up and running. Social media is also a fast-moving platform, so your updates quickly disappear from the highlight. So that’s about it, now you know how social media and SEO work together. Stay connected with your internet marketing company and you don’t have to worry about it.